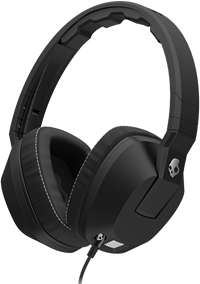 Skullcandy headphone makers have released their latest headphone called Crusher which promises to deliver accurate bass experience which you can feel. Crusher headphone is able to connect to any 3.5 mm input devices. The crusher has a built in amplifier which is powered by a premium battery (AA) powered amp that can be found in the ear cup. With adjustable bass control system which can be found on the left ear cup, has a bass sensation slider which allows user to adjust sensation levels according to your need. Auto on/off smart features enable the headphone to automatically stop amplifier when your music off or headphone is unplugged and when music starts or headphone plugged it automatically restore amplifier this feature is very help full in saving your headphone amp battery. Crusher headphone is available in three colors namely White, Red and Black. Price of crusher headphone is $99.95. 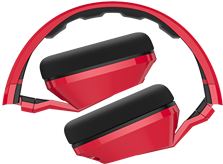 Wanted to know more about Crusher Headphones or even want to purchase it visit official website click here.